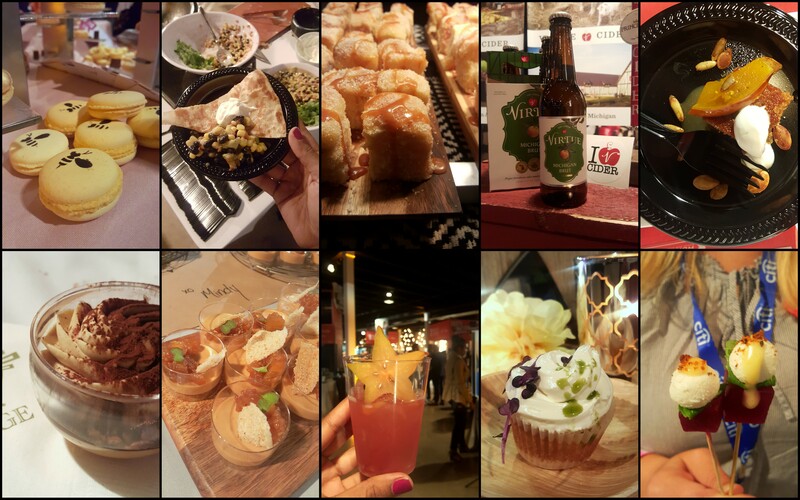 LG served up fun, fabulous food and fancy yet functional appliances at the recent Taste of the Nation event at Revel. Why? 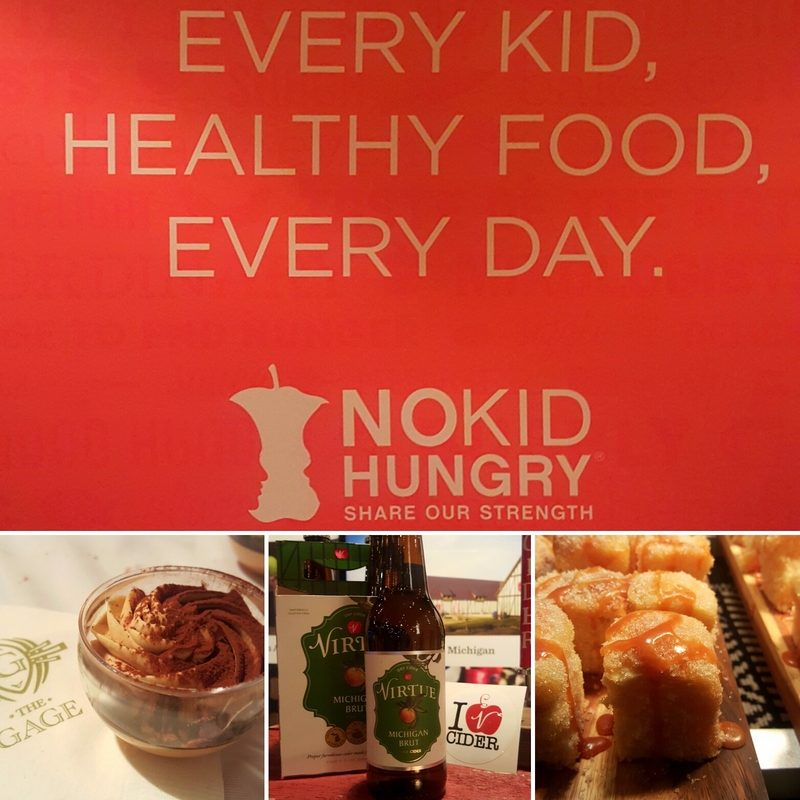 LG is a sponsor of Taste of the Nation to join the fight against childhood hunger! Taste of the Nation gathers the best chefs in foodie cities and provides party goers with vicacious vittles, delish desserts and curiously crafted cocktails, like a Boo Punch we sampled from Knife and Tine (just in time for Halloween!). Although their could have been more veggie options, the bevvy of tastes, sights and smells made this a delectable affair one not to miss. We loved sampling savory bites, taking pictures in the LG Selfless Selfie Photo Booth, and donating extra cash for the silent raffle. LG’s sponsor area featured their gorgeous goods like their new Black Stainless Steel appliances. We got a hands on (and smudge free) tour! 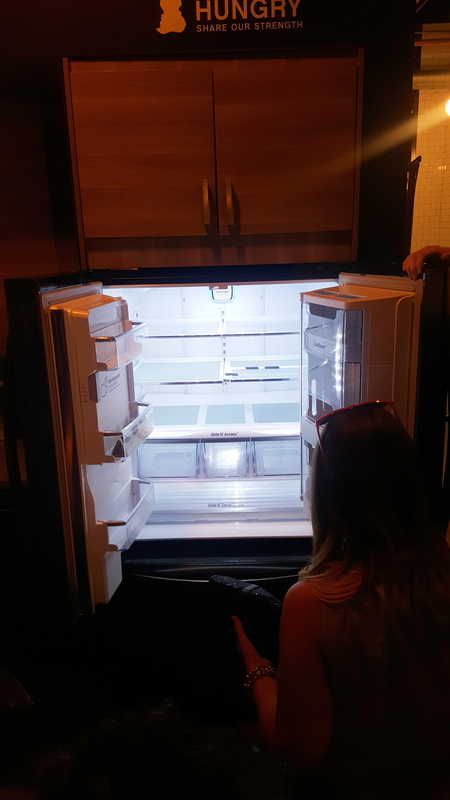 We loved the fridge with a “door within a door” function for all our kefir and kombucha bottles that take up too much side door space. If you want a drink, you can open the clear mini door and keep the fridge closed! Oh and it’s water dispenser is big enough to fill our yoga water bottles. LG’s series also features an easy clean oven and clothes steamer that can make dry cleaning go extinct like dinos. Find them all at Sears! These beauties weren’t the only stars of the LG show. Chef Jason Vincent, former acclaimed Nightwood chef, displayed his plucky personality and cooking prowess. Owner of his first in demand restaurant, Giant, AND father of one, Vincent whipped up a family friendly meal to demo how to make eating healthy, tasty and cheap. 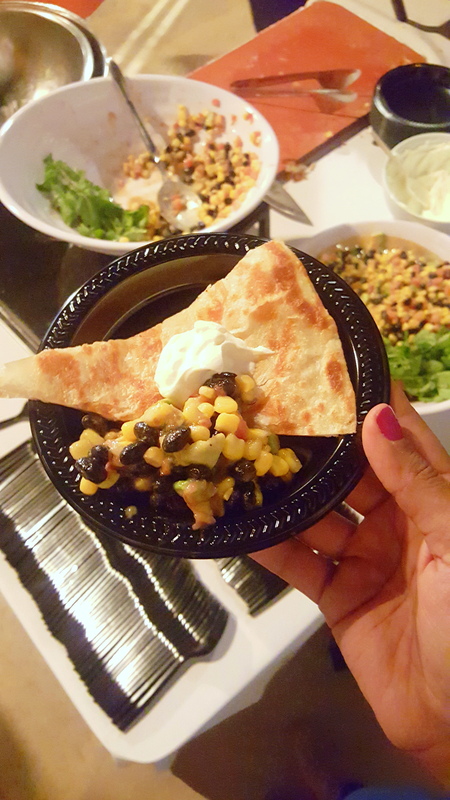 He even made Monica some veggie quesadillas so she could savor the whole experience. Try it yourself with his recipes below! Can’t wait for the next Taste of a Nation? 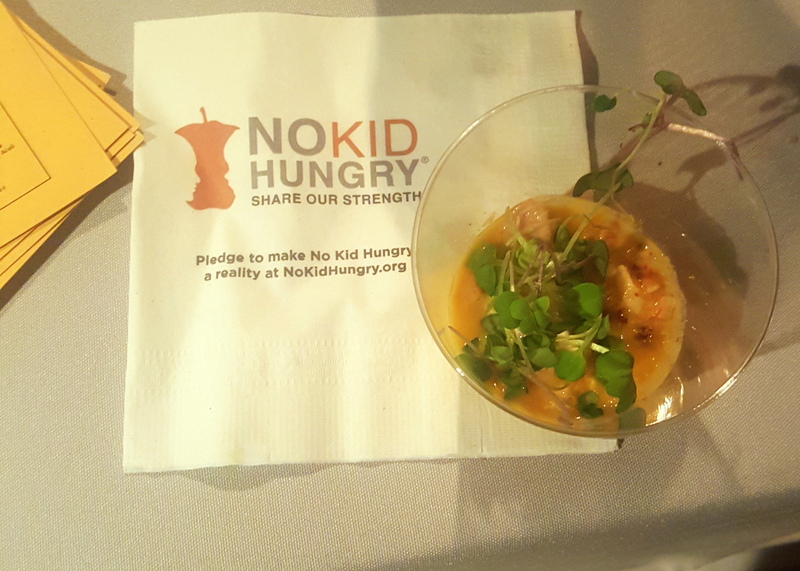 You can help No Kid Hungry in November by hosting your own friendsgiving and donating! 10 bucks gets 100 meals for kids :). We have to thank LG from the bottom of our hearts and stomachs for hosting us AND sponsoring such an awesome event and cause! Check out their new appliances to simplify and classy up your life.